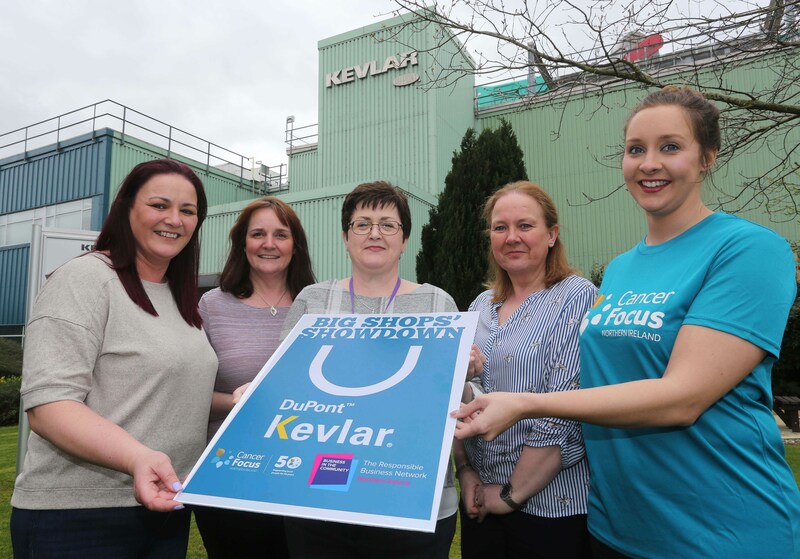 “We are delighted to be running this challenge again in partnership with Cancer Focus NI, especially during their landmark 50thanniversary year. 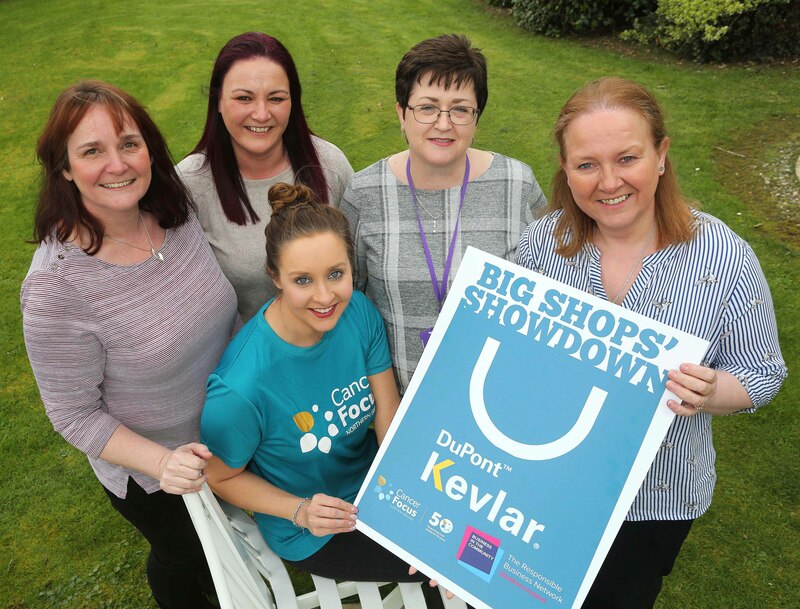 Maydown-based DuPont has already been getting creative in their fundraising; organising coffee mornings, a quiz and planning their activities for the Limavady shop on the day. 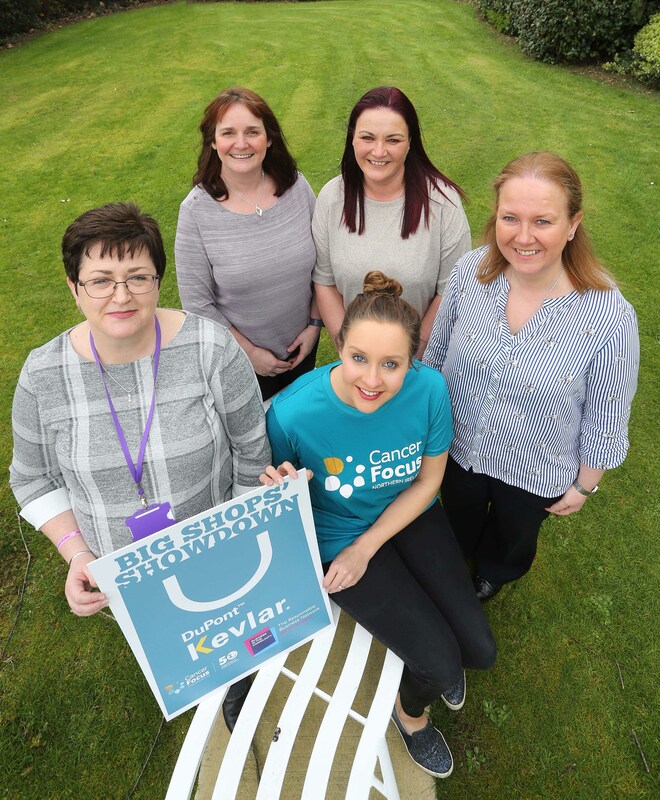 Their team has big plans to get people involved, and are encouraging everyone in the area to pop into the Cancer Focus NI store between 10am-4pm on Friday April 12 to help support the local charity. 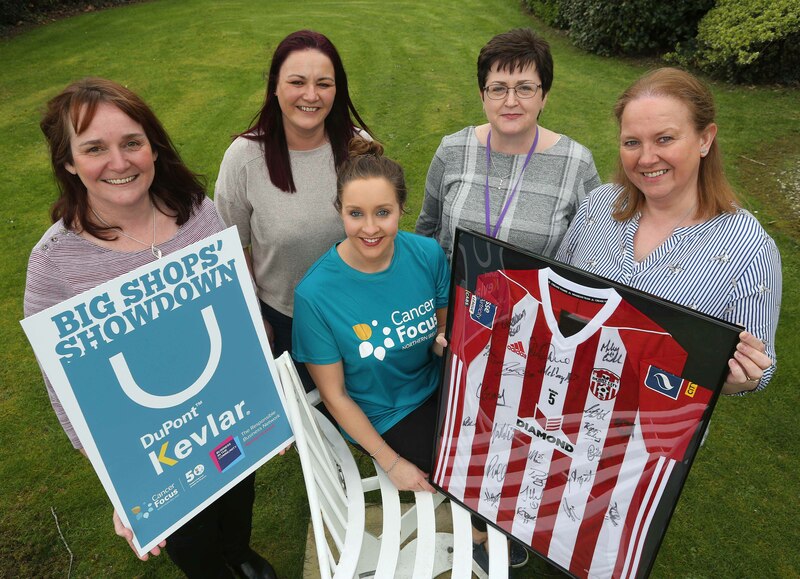 All proceeds raised during the Big Shops’ Showdown will go directly to Cancer Focus NI, who has been caring for and supporting cancer patients and their families for the last 50 years. The charity also funds pioneering cancer research at Queen’s University Belfast, advocates for better health policies, and works in the community to help people lower their risk of cancer. In 1957, DuPont UK Ltd announced plans to build a neoprene plant on a former naval airfield at Maydown, seven miles from Derry~Londonderry, Northern Ireland. Construction started that same year. Since it began operations, in addition to neoprene, Maydown manufactured Orlon® (from 1968) Lycra® (from 1969) and Hypalon®. These products have subsequently ceased production or, in the case of Lycra®, transferred ownership. DuPont now produces Kevlar®. On land– Architects, engineers, and builders incorporate cables of Kevlar® into light suspension bridges because Kevlar® is stronger and lighter than steel on an equal-weight basis, and does not corrode. Cables made of Kevlar® help enable elevators to use smaller pulleys than they would have to use for steel cables, and subsequently require less energy and space to operate. Additionally, it is possible to have longer cable lengths because of the lightweight, high-strength properties. At sea– In seawater, ropes with Kevlar® are up to 95% lighter than steel ropes of comparable strength. Salvage ropes, ice safety barriers, towed and stationary arrays, umbilical hoses, fibre optic cables, escape chutes, orbital straps, and tow ropes have incorporated Kevlar® to help increase strength and reduce weight. Lightweight rope constructions based on Kevlar® fibre help enable rescue services to handle and deploy equipment far more easily — often saving valuable seconds. In space– Kevlar® fibre has proven that it is strong enough to survive the extreme forces and temperature fluctuations of space travel. When the Mars Pathfinder landed on the surface of Mars, ropes made of Kevlar® helped secure the inflated landing cushions (which were themselves reinforced with Kevlar® fibre) that allowed it to complete its 40-million-mile journey fully intact and ready to explore the planet. Kevlar® is also used in the space shuttle to help protect against impacts from orbital debris.